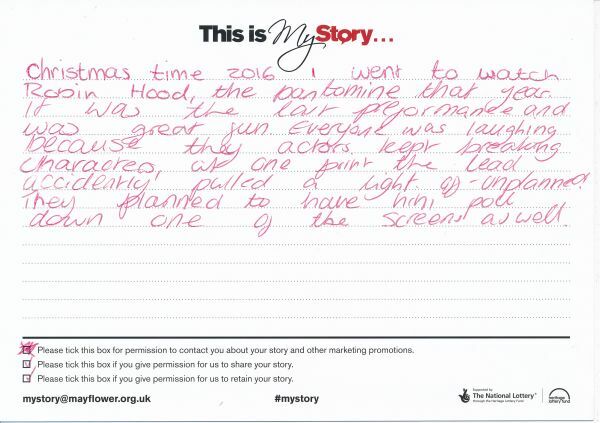 My Story Card: Morgan Storey recalls coming to view the pantomime Robin Hood. Christmas time 2016 I went to watch Robin Hood the pantomime that year. It was the last performance and was great fun. Everyone was laughing because [the] actors kept breaking characters, at one point the lead accidently pulled a light off - unplanned. They planned to hjave himm pull down one of the screens aswell.